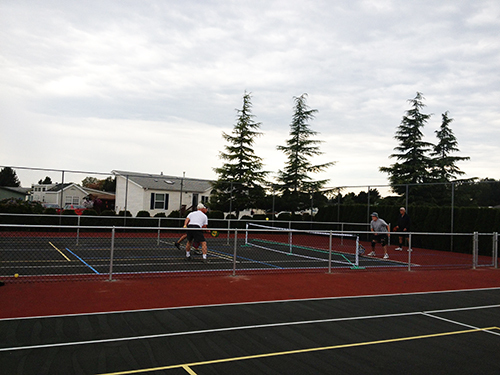 We have just completed the temporary installation of the pickleball courts. The boundaries are in blue. This is temporary until the entire tennis court area is resurfaced (sometime next year). Then, the boundaries will permanently installed.